The Persian empire of the 4th century BCE extended over 127 lands, and all the Jews were its subjects. When Persia had his wife, Queen Vashti, executed for failing to follow his orders, he orchestrated a beauty pageant to find a new queen. A Jewish girl, Esther, found favor in his eyes and became the new queen—though she refused to divulge the identity of her nationality. Meanwhile, the anti-Semitic Haman was appointed prime minister of the empire. Mordechai, the leader of the Jews (and Esther’s cousin), defied the king’s orders and refused to bow to Haman. Haman was incensed and convinced the king to issue a decree ordering the extermination of all the Jews on the 13th of Adar—a date chosen by a lottery Haman made. Note! 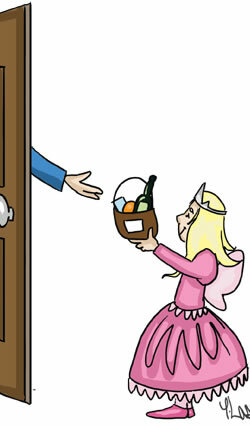 If you live in Jerusalem, the Purim laws vary; click here for details. To relive the miraculous events of Purim, listen to the reading of the Megillah (the Scroll of Esther) twice: once on Purim eve, Wednesday night, March 7, and again on Purim day, March 8. To properly fulfill the mitzvah, it is crucial to hear every single word of the Megillah. At certain points in the reading where Haman’s name is mentioned, it is customary to twirl graggers (Purim noisemakers) and stamp one’s feet to “eradicate” his evil name. Tell the children that Purim is the only time when it’s a mitzvah to make noise! 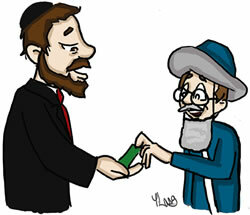 Give charity to at least two (but preferably more) needy individuals on Purim day, March 8. The mitzvah is best fulfilled by giving directly to the needy. If, however, you cannot find poor people, place at least two coins into a charity box. As with the other mitzvahs of Purim, even small children should be taught to fulfill this mitzvah. On Purim day, March 8, send a gift of at least two kinds of ready-to-eat foods (e.g., pastry, fruit, beverage) to at least one friend. Men should send to men and women to women. It is preferable that the gifts be delivered via a third party. Children, in addition to sending their own gifts of food to their friends, make enthusiastic messengers. Purim should be celebrated with a special festive meal on Purim day, at which family and friends gather together to rejoice in the Purim spirit. It is a mitzvah to drink wine or other inebriating drinks at this meal. On Purim we include the Al HaNissim prayer, which describes the Purim miracle, in the evening, morning and afternoon prayers, as well as in the Grace After Meals. In the morning service there is a special reading from the Torah scroll in the synagogue (Exodus 17:8–16). A time-honored Purim custom is for children to dress up and disguise themselves—an allusion to the fact that the miracle of Purim was disguised in natural garments. This is also the significance behind a traditional Purim food, the hamantash—a pastry whose filling is hidden within a three-cornered crust. 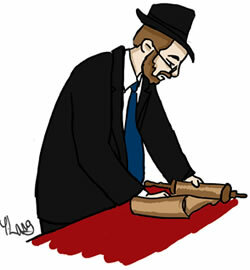 On the Shabbat before Purim (this year, March 3), a special reading is held in the synagogue. We read the Torah section called Zachor (“Remember”), in which we are enjoined to remember the deeds of (the nation of) Amalek (Haman’s ancestor) who sought to destroy the Jewish people. To commemorate the prayer and fasting that the Jewish people held during the Purim story, we fast on the day before Purim. This year we fast on Wednesday, March 7. The fast begins approximately an hour before sunrise, and lasts until nightfall. Click here for exact times for your location. In certain ancient walled cities—Jerusalem is the primary example—Purim is observed not on the 14th of Adar (the date of its observance everywhere else) but on the 15th of Adar. This is to commemorate that fact that in the ancient walled city of Shushan, where the battles between the Jews and their enemies extended for an additional day, the original Purim celebration was held on the 15th of Adar. 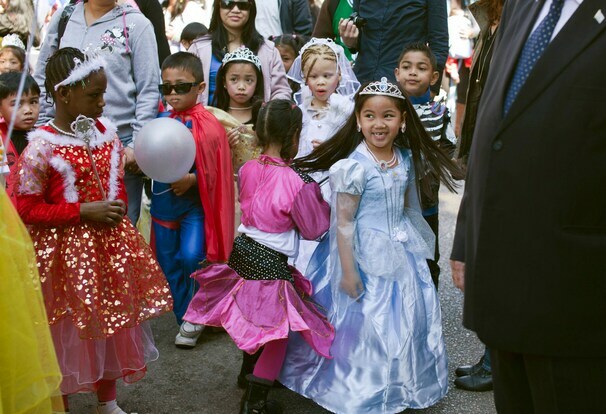 Is Purim just a fun-filled dress up holiday? Or is it something more? Perhaps it’s a flip-flop, upside-down, full of surprises kind of day…not at all what you’d expect. Fifty years later, Babylonia was defeated by Persia. Achashverosh (that’s pronounced: Ah-chash-VEY-rosh) was the second Persian king. He ruled 127 provinces from Hodu (India) to Kush (Africa) the largest, strongest kingdom in the world. The drunken king began to brag that his queen Vashti was the most beautiful woman in the kingdom. On the last day of the feast, he commanded her to come and dance before the crowd. But Vashti was the proud granddaughter of the cruel Nebuchadnezzar and she refused to appear. “Am I a servant to the king?” she asked. In a fit of anger, the king had her killed. Soon after, Achashverosh appointed Haman — the richest man in the kingdom — as his new prime minister. All the king’s subjects were ordered to honor Haman and bow down to him. Everyone did, except Mordechai. It was permissible to honor Haman and bow to him as the prime minister, but Haman wore a large medallion, engraved with the picture of an idol, on his chest. Mordechai said people might think he was bowing to the idol too, and a Jew is forbidden to worship or honor idols. Achashverosh gave Haman his royal ring, to seal the orders and decrees. Anxious to do a perfect job, Haman wanted to execute his plan on the right day, a lucky day blessed by his gods and the stars. He cast lots — purim in Hebrew — to choose the day. Then he sent out letters, sealed with the king’s royal ring, to each of the 127 provinces in the kingdom. The Jews finally realized they should not have gone to the king’s feast; they should not have eaten at the royal banquet nor drunk the wine, nor used the vessels from the Holy Temple. They understood that this was their punishment for fearing the king more than they feared God. But Esther asked only that the king and Haman come to a private banquet she was making. At the banquet, Achashverosh asked again, “What is your wish? Whatever you want is yours!” But Esther only invited the king and Haman to a second party. “How strange,” thought the king. But Haman was delighted. On his way out of the palace, he passed Mordechai at the gate. His delight turned to hate. “I am important enough to be invited to the queen’s private banquets together with the king — and that Jew refuses to bow down to me? !” He wanted to kill Mordechai then and there, without waiting for the 13th of Adar! “Do it!” advised his evil wife Zeresh. So Haman built a gallows, 50 cubits high, in his own courtyard. He would hang Mordechai at the first opportunity! That night, the king could not fall asleep. He tossed and turned and finally called for his servant to bring out the Royal Book and read him to sleep. The heavy book fell open to the story of how Mordechai the Jew had warned of the plot against the king and saved the king’s life. “What reward did the Jew receive?” asked the king. “None, sir,” was the reply. “He saved my life and received no reward? !” stormed the king. Just then, someone knocked. It was Haman, coming for permission to hang Mordechai the Jew. He was in such a hurry he couldn’t even wait for the morning! “Death? Your people? By whom?” asked the surprised king. “What?” he cried. “Do you dare to attack the Queen in my palace? Take him away and hang him!” he shouted. In the end, Haman was hung on the gallows he himself had built for Mordechai. And Mordechai became the king’s new prime minister in place of Haman! Now it was Mordechai’s turn to send out a royal letter. It said: On the 13th of Adar, all the Jews in the kingdom would organize to defend themselves. The Persians were more than happy to listen to Haman and kill Jews, but if the Jews were going to arm themselves and fight back under royal protection, well then, that was another story! On the 13th of Adar, Jews across the kingdom assembled and defended themselves. Thousands of their enemies were killed, including Haman’s 10 evil sons who were hanged from a tree. Unlike the Persians who planned to take money and property, the Jews took no loot at all. On the 14th of Adar, they gave thanks to God and celebrated. Esther asked the rabbis to write the story of Purim and include it in the Bible. Scrolls – megillot – were written and sent to the Jews throughout the kingdom. The rabbis commanded the people to keep the holiday of Purim forever as a day of thanksgiving and feasting and joy; of sending gifts to friends and money to the poor. And that is just what the Jewish people have been doing for the past 2,400 years! 1. MEGILLAT ESTHER — we read the story of Purim in the evening and the next day. And whenever Haman is mentioned, we make as much noise as possible to blot out his name and his memory! AND DON’T FORGET, PURIM IS COSTUME-TIME! We celebrate how everything can turn upside-down and into something else, and nothing is exactly what it seems to be. So start thinking about who you want to be on Purim! A joyous Purim to all of you! May Purim – and all other days in the year!– be full of light and gladness, honor and joy, just as it was for the Jewish people in the time of Esther and Mordechai so many years ago. 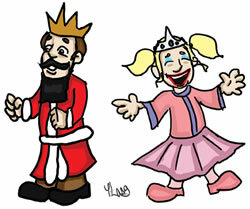 It might not be a High Holy Day, but Purim is certainly one of the most joyful holidays on the Jewish calendar. In the 5th century B.C., as related in the Old Testament’s Book of Esther, Mordecai, a Jew, refused to bow down to an adviser of King Ahasuerus named Haman. Incensed, Haman persuaded the king that Jews were essentially uncontrollable and should be executed en masse. Mordecai’s adopted daughter, Esther, boldly approached the king and suggested all parties meet at a banquet, where she gave an impassioned speech about the goodness of the Jews and Haman’s plot against them. When Haman stumbled near Esther as he pleaded for mercy, the king mistook this as an attack on Esther, and he reversed course by ordering Haman’s execution. The following day was declared a holiday named Purim. A principal tradition of Purim is the reading of the Megillah (Book of Esther) during a synagogue service. When the Megillah is read, it is customary to make noise by booing, hissing, or stamping one’s feet to drown out Haman’s name. You can also twirl a traditional noisemaker, called a gragger. 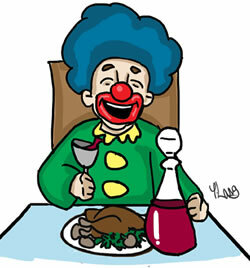 Mishteh – drinking plenty – is on the menu for Purim. The festival encourages Jews to eat, drink, and be merry, but places emphasis on the imbibing. Revelers are taught to drink copious amounts of wine, until you can’t tell the difference between “cursed be Haman” and “blessed be Mordecai.” People with health problems, children, and recovering alcoholics need not follow the letter of the law. Purim begins with a fast on the previous day, in order to commemorate Esther’s fast for three days before she met with the king. After the fast is broken, a grand meal should be enjoyed by all, and a popular dessert to serve is Hamantaschen (“Haman’s ears”), triangle-shaped fruit-filled cookies that represent Haman’s three-cornered hat (though some say, as the name goes, that they represent his ears, or even the dice he cast to determine when the Jews would be executed). Sending food to friends, as well as making a charitable donation, are also prescribed as ways of sharing in the tradition. Israeli settlers and children celebrate Purim in Hebron in 2011. A carnival atmosphere pervades this spring holiday, held on the 14th day of the Hebrew month Adar, which usually falls in February or March. Adults and children alike often go to synagogue in costume. The tradition used to be to dress as figures from the Old Testament, but today anyone from Harry Potter to Dr. Seuss is acceptable. Singing silly songs and acting out Purim plays are also popular activities. Purim 2012 begins at sundown this Wednesday, March 7, and all I can say is thank you God! Of course that’s a bit ironic because despite the fact that both this holiday and its story appear in the Hebrew Bible, God is never mentioned. That’s right, among other reasons to love this holiday is that from its very inception, and to this very day, it could be shared by believers and non-believers alike. Why is that so important? Maybe it’s the fact that each day brings new stories in which faith and/or faithlessness are used by politicians and their proxies to vilify those who don’t share their beliefs. Perhaps it’s because the language of who is evil and who is good are being used more and more to describe conflicts both at home and abroad. Perhaps it’s simply that I cling to the notion that we don’t have to demean those with whom we have genuine disagreements, or even those with whom we may need to do battle – cultural or physical.